The key to a secure adult attachment? Hang out with someone who makes you feel: Safe, Secure, Soothed and Seen. Chances are if you are feeling some or all of these things, your endocrine system, immune system, mood, and overall well being are enhanced. Dr. Sue Johnson, one of the leading figures in the attachment world, refers to oxytocin as the cuddle hormone. 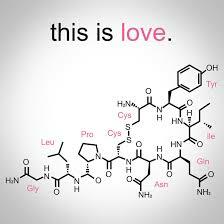 Oxytocin is the hormone most closely associated with secure attachments. Ready to get your oxytocin juices flowing today to combat loneliness or isolation?